HS 220 Pojo 2km, Carrasco, Cochabamba, Bolivia 2900 m TL (From the typical locality) A beautiful variety, sought after by collectors for its attractive mahogany red spines and rings of light purple flowers in spring. Origin and Habitat: Grows in the Cordillera de Cochabamba, in southern Bolivia. Habitat: S. steinbachii grows mainly on a flat, dry, stony area, while the tiraquensis populations grows in a moister zone. Altitude 2950 – 3900 m.
Ecology: Thanks to the fog banks coming from the tropical lowlands of the Chaparé, the plants have enough humidity all year round to capture with their numerous spines. 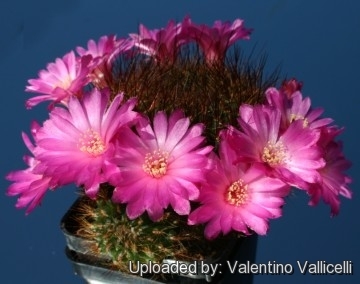 Description: Rebutia steinbachii subv. 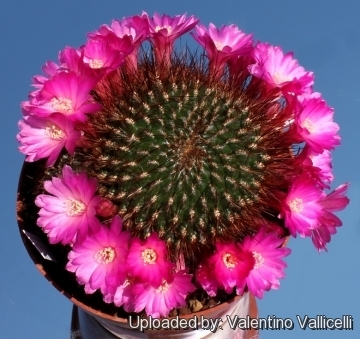 aguilari best known as Sulcorebutia tiraquensis var. 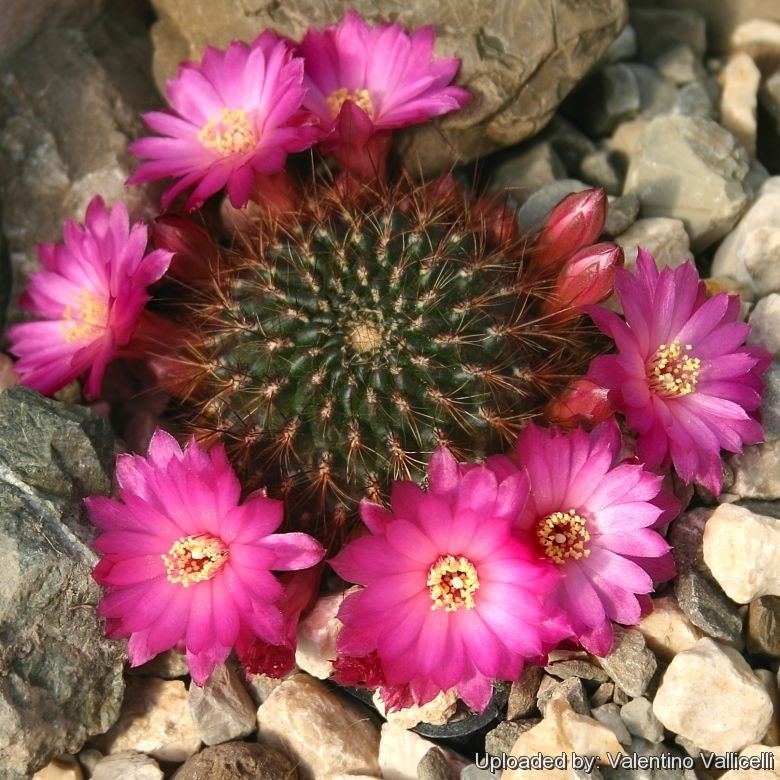 aguilarii is one of the innumerable local form of the very variable Rebutia steinbachii (= Sulcorebutia steinbachii) It is often referred as form of Sulcorebutia tiraquensis with attractive mahogany red spines, dark purple bodies and rings of light purple flowers in spring. Habit: It is solitary or few branched, but readily forming, clusters or cushions in cultivation. Roots: Mostly non-succulent, fibrous roots. More than 90% of the plant is concentrated in the stem. Stem: Single heads 30–50 (or more) mm wide, soft globular, flattened and somehow apically depressed, very dark magenta-green., almost hidden under the covering of spines. Ribs: 12-26 , spiralling, forming oblong rhomboid tubercles with well-defined grooves. Areoles: White or yellowish, long, narrow 3-6 long, 1,5-2 mm large. 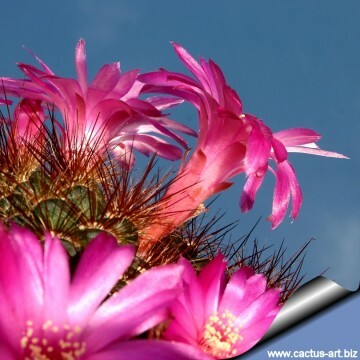 Flowers: Bright pink to light purple, numerous in a ring at the base of the plant. 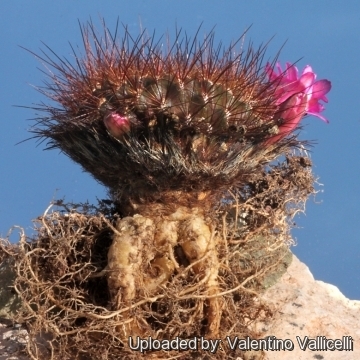 * Sulcorebutia hoffmannianaS. glanduliflora Card. n.n. 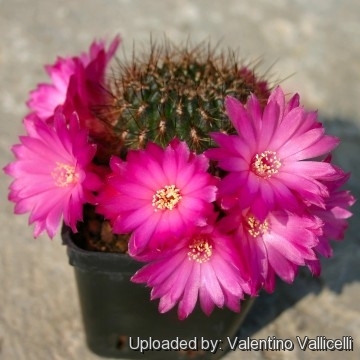 Cultivation and Propagation: They are easy plant that grow large clumps and form beautiful specimens with time. During the summer it is best to keep the plants outside where the temperature can rise to over 30 C with no harm to the plant. It loves a very permeable, coarse mineral soil. From March onwards the plant will begin to grow and watering should be increased gradually until late May when the plant should be in full growth. Water regularly during the summer so long as the plant pot is allowed to drain and not sit in a tray of water. During hot weather you may need to water the plants more frequently so long as the plant is actively growing. From late September watering should be reduced to force the plant to go in to a state of semi dormancy, by October you should be back in to the winter watering regime . From November to march they must be kept strictly dry since they are very sensitive to any moisture excesses. 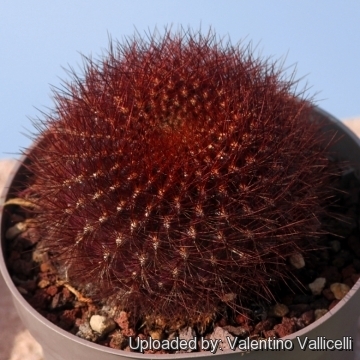 To prevent rottenness it is also advisable to surround its root neck by very rough sand or grit, this help a fast water drainage and an appropriate air circulation. For its sensitive roots this species is often grafted to avoid root problems. 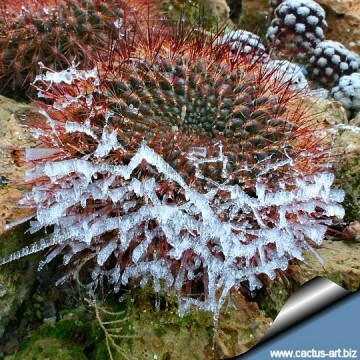 Plants are and quite frost hardy -10 (or possibly colder)° C but preferably overwinter in a cool place (at 0/10°C) this is important for the flowers as well as for plants health. Without this cool winter period they normally wont get any buds. 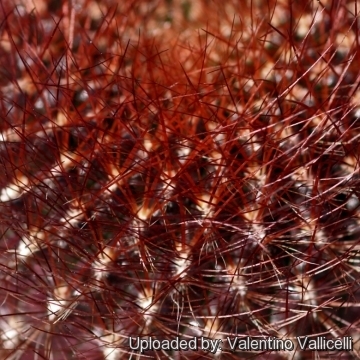 Sun Exposure: Need full sun avoiding only the harshest summer sun, if kept too dark they may become overly lush and greener and could be prone to rotting due to over watering. Feeding may not be necessary at all if the compost is fresh then, feed in summer only if the plant hasn't been repotted recently. Do not feed the plants from September onwards as this can cause lush growth which can be fatal during the darker cold months.Propagation: : Seed, cutting, grafting.